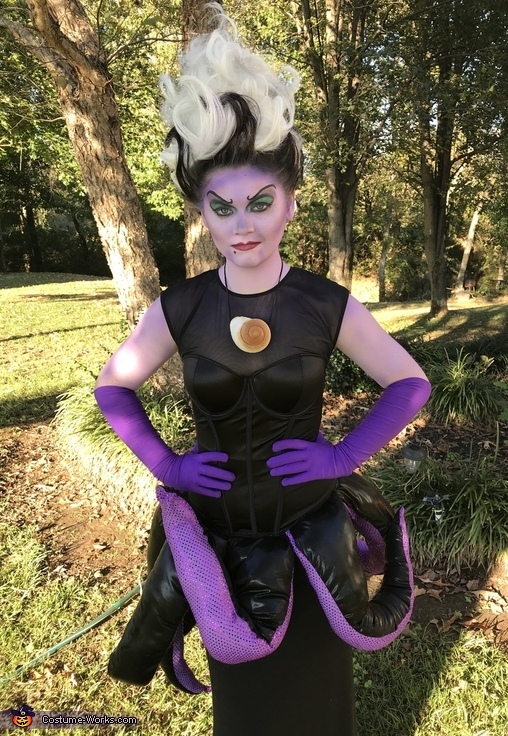 My daughter Caelie is wearing this homemade Ursula (villain from the Little Mermaid) costume. Tentacles are made with glitter fabric and black shiny vinyl type material. Each tentacle was hand sewn onto the black bodice.